Low Carb Sausage, Peppers, Mushrooms and More!-Eat by Color Style! You know that looks great! Italian sausage, peppers, tomatoes, mushrooms, mozzarella…big on taste! 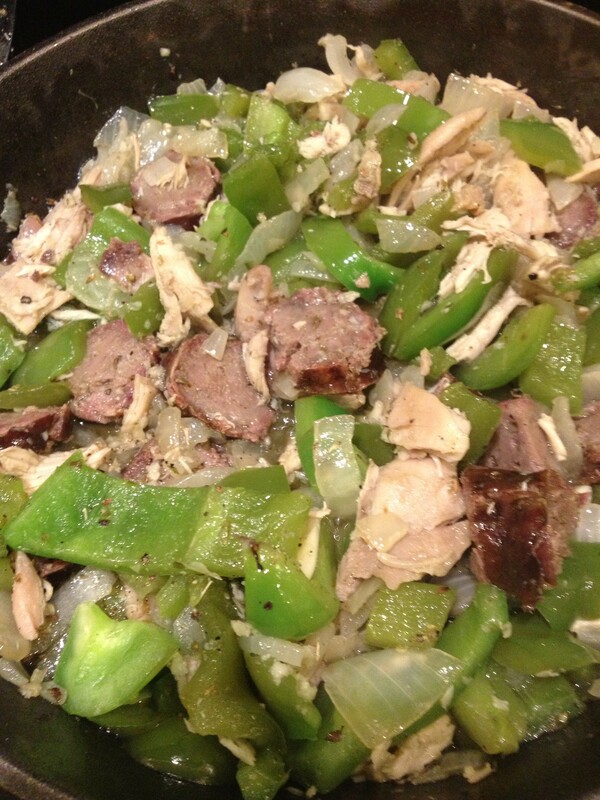 This low Low Carb Sausage, Peppers, Mushrooms and More!-Eat by Color Style…is fast and easy to prepare. Plus it can be healthy if you use one of the lower fat sausages. 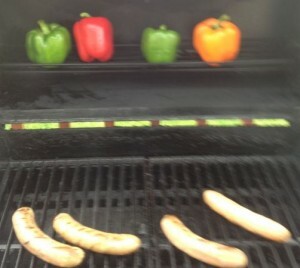 Grill the sausage. 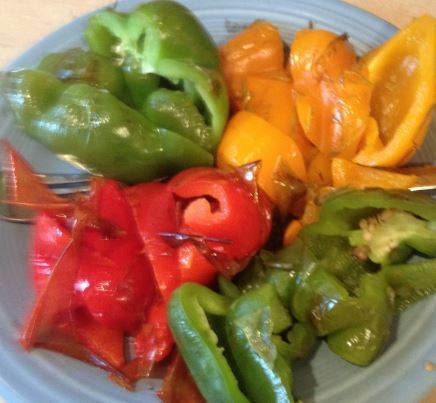 Wash the peppers and toss them on the grill too. Grilled peppers are great tasting and easy to prepare. 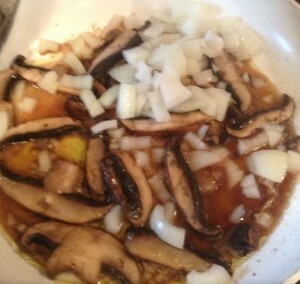 Slice your mushrooms, peel and slice the onion. Saute the onions and mushrooms. 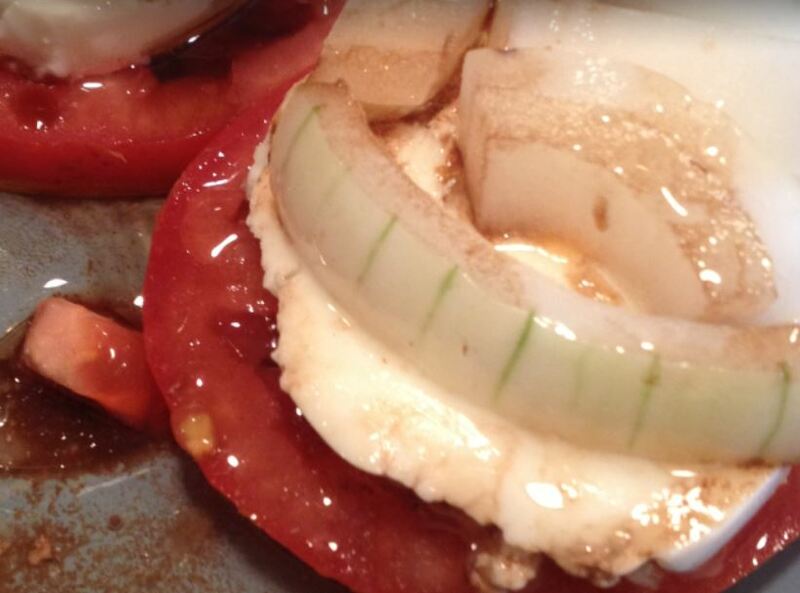 Remove the peppers from the grill, core, slice and saute. Slice a second onion to place over the mozzarella with a slice of tomato. 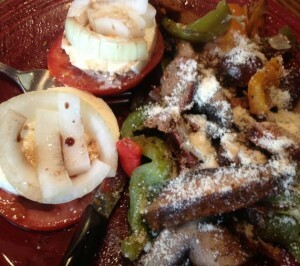 Remove the sausage from the grill, slice, and combine all of the vegetables in one frying or saute pan. Simmer on low heat. Serve, enjoy!